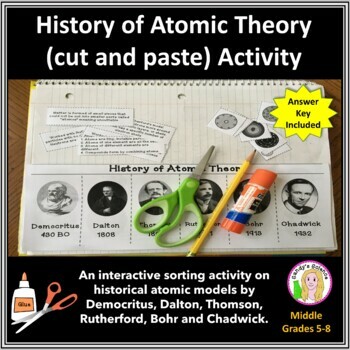 This is a cut and paste/ foldable activity on the historical atomic models by Democritus, Dalton, Thomson, Rutherford, Bohr and Chadwick. 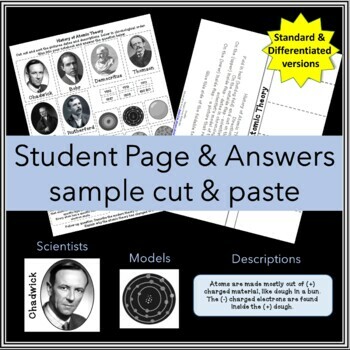 Students cut out and arrange pictures of scientists, dates and descriptions either in a notebook, graphic organizer or the foldable included. 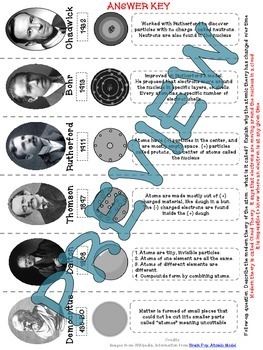 Follow-up questions on modern cloud theory and why theories change are included.